I took my dogs to visit Santa! What a great way to cap off a really exciting 2017. 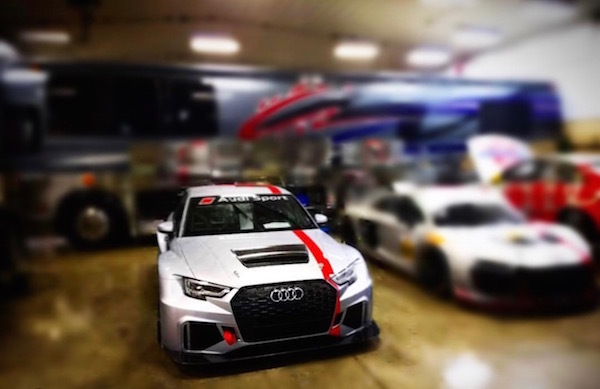 If you saw our press release last week, you know that Sarah Montgomery and I are working on our 2018 season in the new TCR class of the IMSA Continental Tire SportsCar Challenge Series. We are still searching for funding, but we do know that we’ll be driving the Sick Sideways Audi RS3. Contact me if you want the car to look even better by putting your logo on it! We’ll be announcing some additional exciting news about our 2018 plans soon, so stay tuned to this blog. In the meantime, I hope you and your loved ones have a happy, healthy holiday season. Merry Christmas!